The African American Health Program is implemented by McFarland and Associates, a management and professional services firm dedicated to improving lives through smart solutions. MSW and CEO and President of McFarland and Associates, Inc.
George McFarland has more than 46 years of experience developing programs and providing service in the areas of health care, education, employment and economic sustainability. 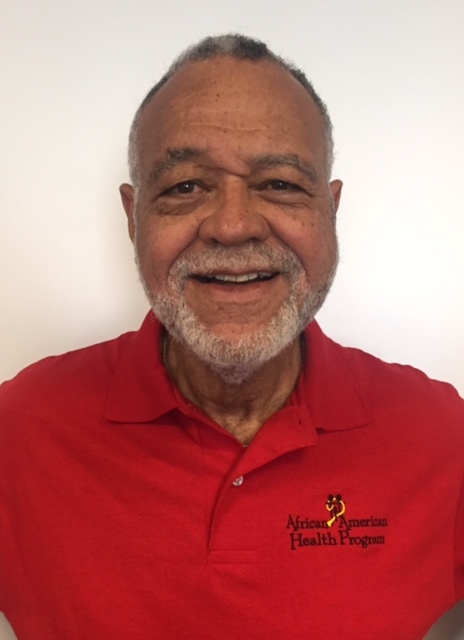 A resident of Montgomery County for more than 41 years, Mr. McFarland has worked closely with numerous federal, state and community organizations in the County and throughout the U.S. to improve the quality of life for people whose lives are affected by health risks. He has authored and implemented more than $100 million in grants and contracts to promote health and human development, playing a major role in shaping our understanding of the influence of behavior on overall health and wellness. Under his leadership, McFarland & Associates, Inc., provides program and management consulting services in health care, social science research, education, criminal justice, housing, information technology, and substance abuse prevention. A native of Hattiesburg, Mississippi, George McFarland holds a bachelors in political science from Howard as well as a master of social work in social policy formation from Howard University. Andrea McFarland began her long career in public service and social work as a community organizer in Philadelphia. In support of services and programs that help the mentally handicapped, mentally retarded and emotionally disturbed, and children in need of protection, she has held leadership positions that involved developing policy and procedures; designing, implementing and evaluating programs; assisting in the preparation, monitoring, and adjustment of budgets; and managing and supervising staff, among other tasks. For ten years, she served as the District Program Manager, Deputy District Administrator, and District Administrator (on an as-needed basis) as well as the Vice-president of operations for two social service organizations. In these roles, she was responsible for a welfare reform case management contract and supervised and coordinated social services for programs related to alcohol and drug abuse, mental health, and other health issues. After relocating to the DC metropolitan area, she worked as the Deputy Director of Planning, Policy and Program Support for DC Child and Family Services for 15 years. In 2015, she joined McFarland and Associates as a senior associate for project development and quality assurance, where she is responsible for staff development and quality assurance. Ms. McFarland holds a bachelor’s in liberal arts from Temple University as well as a master’s in social work from University of Pennsylvania. She also has numerous professional affiliations, volunteers extensively, and has been recognized for her work and dedication with accolades that include the Valeria Bullard Black Administrator of the Year Award. Monica Brame has more than15 years of federal contracting, program management and accounting experience with several health and human services agencies. Early in her career, she worked for KPMG performing extensive client engagement. She then worked as an analyst for Lockheed Martin, where she provided financial support and leadership to program managers and team members and supported cost proposal planning activities. Prior to joining McFarland and Associates, she worked as an accountant for the US Securities and Exchange Commission. Ms. Brame joined AAHP as a finance manager providing managerial leadership and staff direction for financial and accounting administration, company operating budgets, payroll operations, accounting deliverables, cost management and pricing proposals, internal audits, fiscal reporting, and business controls. She later become McFarland’s CFO and business operations office; in that role, she provides guidance in the design and implementation of strategic plans and initiatives for measurement of company progress against contract requirements. She also currently works as a consultant in finance, contracts, human resources, accounting and sales. A certified PMP, she holds a bachelor's in accounting from Morgan State University and a master's in management, and an MBA from University of Maryland University College. She is a member of the National Association of Black Accountants and Beta Gamma Sigma, a business honor society. 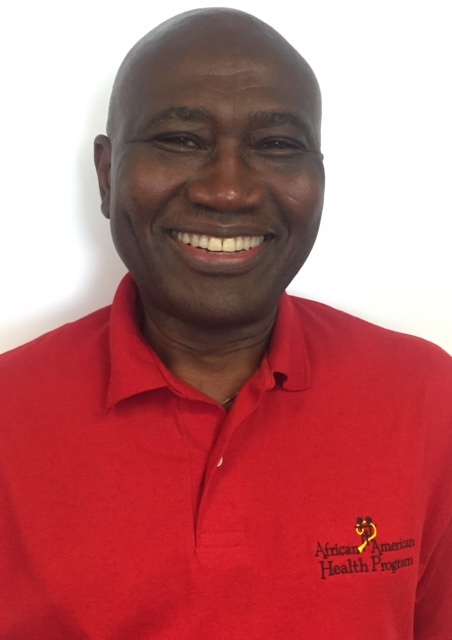 Dr. Nkossi Dambita is the Director of Clinical Services at McFarland & Associates in the African American Health Program in Montgomery County, Maryland. Dr. Dambita is a public health physician trained in epidemiology at SUNY at Buffalo where he received his Master of Science degree. Dr. Dambita received his MPH in health systems management from Tulane University in New Orleans, Louisiana and a master's in health sciences informatics from Johns Hopkins University in Baltimore, Maryland. For more than two decades, he has directed public health programs at the state and local levels, as well as internationally. He has successfully managed major public health projects, including the serological monitoring of HIV in Maryland and the surveillance of bioterrorism in Baltimore City. Dr. Dambita has provided education and advisory services to governments and Non-Government Organizations (NGOs). He has been faculty at Johns Hopkins School of Medicine since 2006. He is a passionate advocate of knowledge management systems as a means of delivering knowledge at the point of need for better decision-making in Public Health. 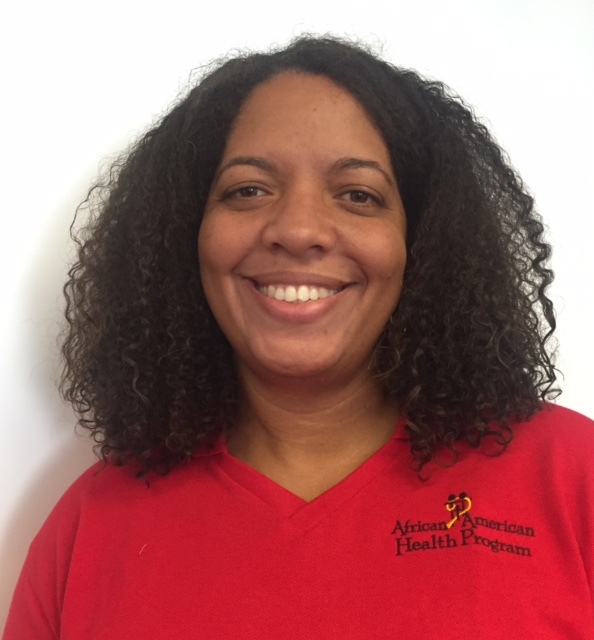 Serena Culley joined AAHP as a Nurse Case Manager for the S.M.I.L.E. program in 2017. She formerly worked as a clinic charge nurse and a clinical nursing supervisor at several Prince George’s County Health Department clinics, including STD clinics and the Healthy Teens and Young Adults Health Center. There, she gained valuable experience providing health care and health education to a diverse clientele as well as training, managing and supervising nursing staff. Ms. Holtz also works as an RN evaluator, conducting exams for nurse aide candidates. 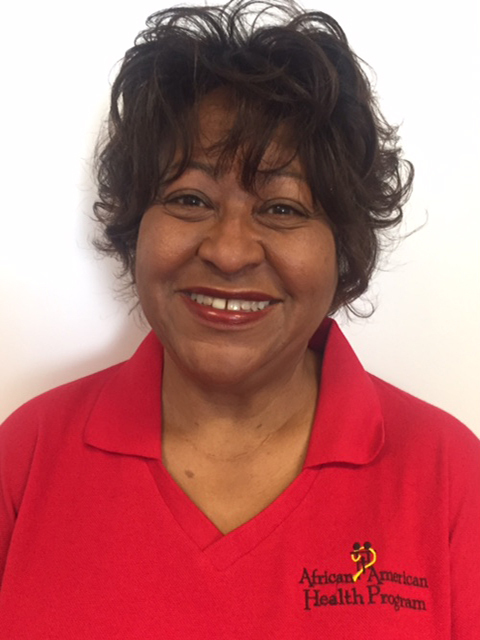 Active in her church, Ms. Culley serves as an ambassador for Reid Temple AME Church's Women of Faith Ministry and participates in the Health and Wellness Ministry and the Adoration Choir. Ms. Culley has completed three documentaries on breast cancer. An ambassador of health both her professional and personal life, Ms. Culley serves as team captain in the Relay for Life and the Susan G. Komen Race for the Cure. Ms. Culley earned her bachelor’s in community health education from York College in Jamaica, NY. Saundra Jackson received her associate's degree in nursing from Prince George's Community College and her bachelor's in healthcare administration from Columbia Union College. During the first half of her nursing career, Ms. Jackson worked in emergency rooms, labor and delivery wards, and neonatal ICUs in Southeast D.C. among the African American population. In 2003, Ms. Jackson began providing services in Montgomery County with Nurses for Newborns where she was the regional director. She later became the first nurse for the African American Health Program. She is certified in Childbirth Education and Breastfeeding. 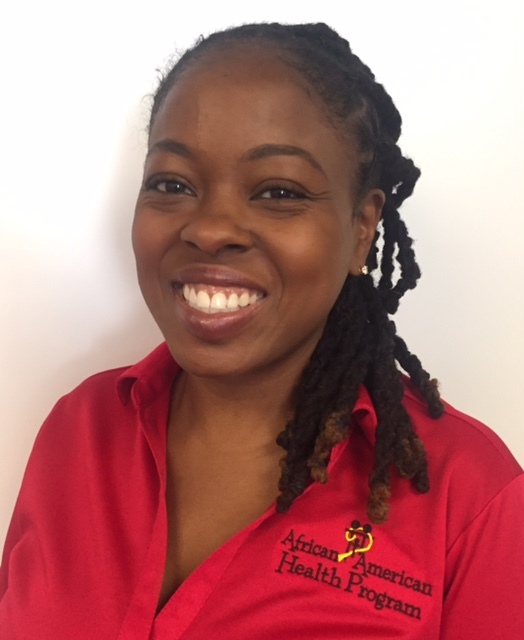 As a nurse case manager with AAHP, Ms. Jackson provides direct client services to African Americans in Montgomery County through the Maternal and Child Health focus area's SMILE program. 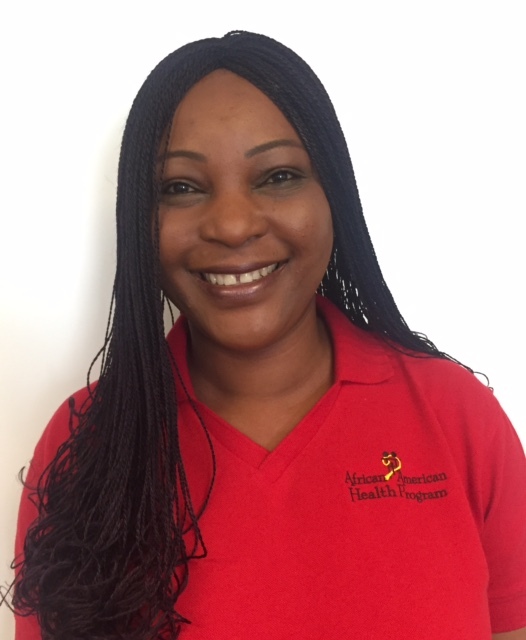 Beri Kari-Fonge began working with AAHP as a volunteer in 2006, and after a long hiatus, began again as a volunteer in 2016, and was then promptly promoted to the Community Health Worker role. Originally from Cameroon, Ms. Kari-Fonge graduated from the University of Texas, Arlington, with a bachelors of science in nursing. She worked for more than seven years as a critical care nurse with adult care experience in medical-surgical care, geriatric, hospice, cardiac, and rehabilitative care. Since August 2015, she has taught at Montgomery College as clinical adjunct faculty in the nursing program. Ms. Kari-Fonge recently earned her master's in nursing education from Frostburg State University. Harriet Shangarai received her bachelor's in nursing from Washington Adventist University and an associate's from Montgomery College. After receiving her nursing degree, Ms. Shangarai launched a Community Health Initiative for multicultural communities. Since then she has worked with many community and faith-based organizations, embassies, non-government organizations, and universities in efforts to create awareness, provide community health education and advocacy resources, and mobilize healthcare professionals to donate their expertise in underserved communities.Ms. Shangarai has recently joined the African American Health Program with a goal of addressing health disparities in underserved communities within Montgomery County. She serves as the Supervisory Nurse Case Manager with the AAHP Maternal and Child Health focus area. Elsa Sohahong-Kombet has a Nursing Assistant Certification and a bachelor's in biology from the University of the District of Columbia. She has a Master of Business Administration in Health Service Administration and Master of Science in Human Resources Management from Strayer University. She has held internships at Howard University Hospital, George Mason University and The United Nations in New York. Ms. Sohahong-Kombet has managed incoming payments in accounts receivable in the hotel industry in the accounting department; summarized receivables on a weekly and monthly basis; and analyzed accounts to discover discrepancies. 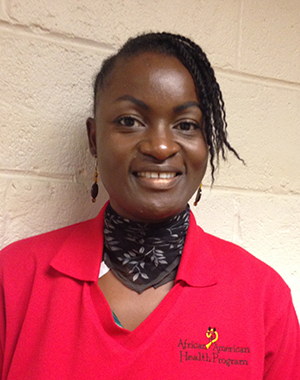 As a front office assistant manager, she coordinated activities with other hotel departments in order to increase levels of communication and customer satisfaction. She also acted as a liaison between sales and front desk staff in order to ensure that all group events were executed perfectly. She speaks French, English, some Spanish and Chinese. Aiysha Taylor comes to AAHP with a wealth of experience serving youth and families as a licensed clinical social worker. Hailing from Brooklyn, New York, Ms. Taylor received her bachelor's in computer science from New York University and her master of social work from Fordham University. She began her career working with teenage girls as a youth development counselor and eventually went on to become a social worker providing therapy for troubled individuals, families, and groups. In 2013, she opened her private practice. As co-chair of the diversity committee at her son's elementary school, she helped the school initiate a "No Place for Hate" program. 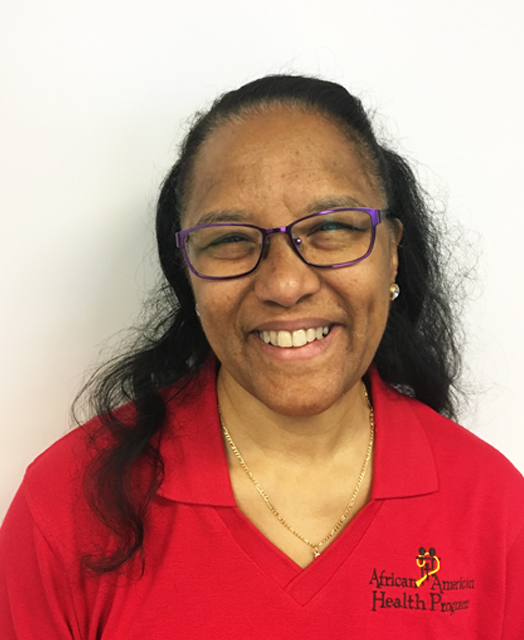 As a licensed clinical social worker for AAHP, Ms. Taylor provides invaluable guidance and assistance to the most vulnerable individuals and families in Montgomery County. Debra Wylie holds a bachelor’s in rehabilitations counseling from Wilberforce University in Wilberforce, Ohio, and a master's from the University of Phoenix in Columbia, Maryland. 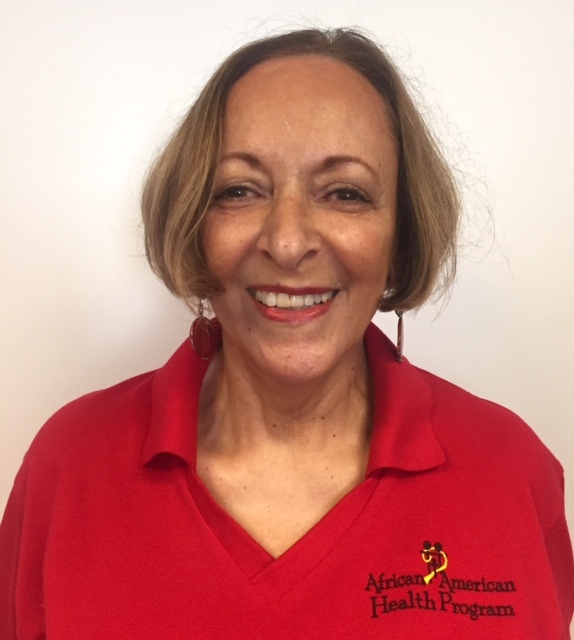 Since 2004, Ms. Wylie has worked as a community health worker (formally known as ethnic health promoter) for Holy Cross Hospital in Silver Spring, Maryland, and was certified as a community health worker in 2012. Her work throughout the Greater Washington region has made her a pillar of the community, offering health promotion and information to those who otherwise would not receive it. 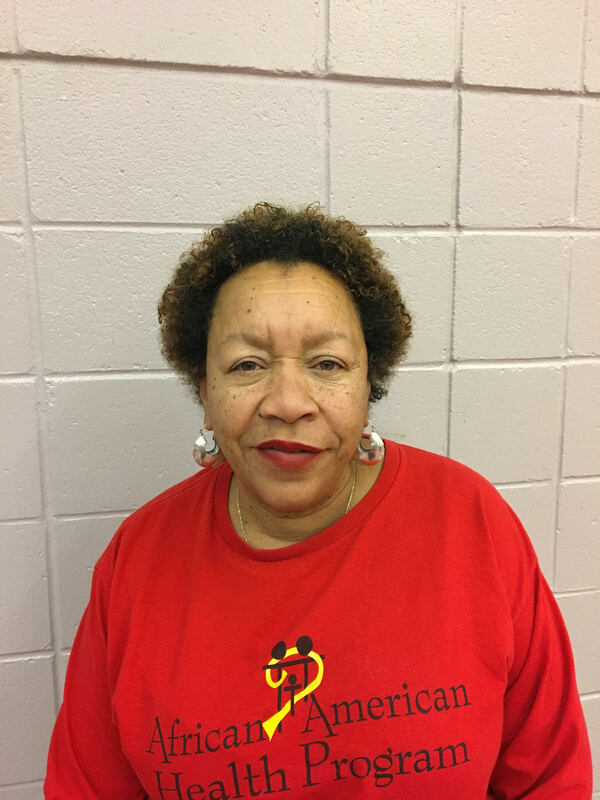 Ms. Wylie has also worked as a prevention advocate for Howard University Hospital's Department of Pediatrics in Washington, D.C., working with HIV families in shelters, often as the first contact for newly diagnosed HIV clients. She has been certified as an Ora Quick Advance Tester by the Department of Health and Human Services Washington, D.C. and the State of Maryland Health and Human Services. Ms. Wylie has also worked as a recruiter for the National Marrow Donor Program Hosting Bone Marrow Donor Drive to help searching families find matches. Dr. Joseph Bruce Latta has provided outstanding service to patients in Montgomery County for more than 40 years. His pediatric dental practice, Latta and Associates, is widely recognized for implementing groundbreaking strategies to motivate children and youth to practice good oral hygiene. Active in the community, Dr. Latta is s a resource for dental health programs and is a member of several professional organizations including the American Dental Association, the American Society of Density for Children, and the Maryland State Dental Association. 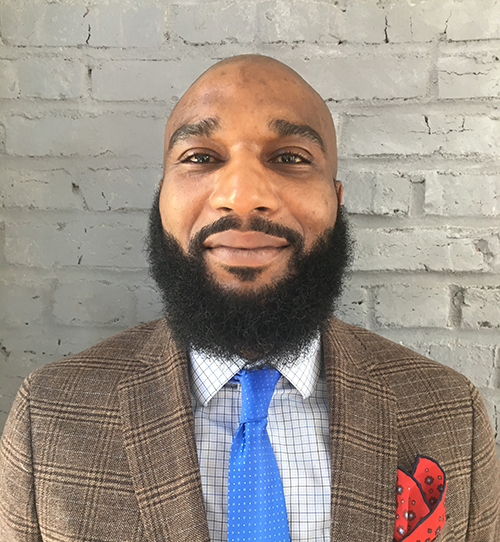 Dr. Latta received his bachelor's from Florida A & M University and his doctorate in dental surgery and his certificate in pedodontics from Howard University. 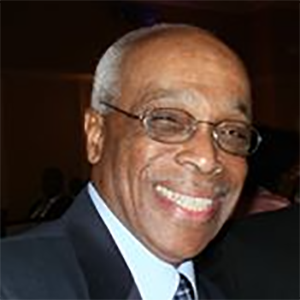 Dr. Ikenna Myers has focused on eliminating health disparities his entire career. He attended George Washington University School of Medicine and Public Health where he earned an MD and an MPH (Master of Public Health) with a focus on health disparities among minorities, sexually transmitted infections, and chronic diseases. Dr. Myers then took a fellowship/residency at the NIH Office of Minority Health and Health Disparities focusing again on eliminating health disparities in the DC area. Dr. Myers has credentials at a number of hospitals including Howard University Hospital, George Washington University Hospital, and Washington Hospital Center. He is also clinical director of Healing Our Village of Maryland, Inc., which focuses on population health and wellness. Robina Barlow is a certified Food for Life Instructor focused on improving health outcomes for individuals through food and nutrition. Her classes provide nutrition information and food preparation demonstrations. Class topics include diabetes, heart disease, cancer, weight control, healthy basics, and kickstarting health. She has enjoyed watching her students improve their biometrics and health through healthy eating and other lifestyle changes. Ms. Barlow's Food for Life Instructor certification was granted by the Physicians Committee of Responsible Medicine, which researches and promotes the benefits of a plant-based diet. She is also certified in plant-based nutrition from the Center for Nutrition Studies at Cornell University. Her training includes the Rouxbe Cooking School’s Forks Over Knives Cooking Course, general nutrition training from Wageningen University, the Lifestyle Training Seminar at the Cleveland Clinic Wellness Institute, and the International Conference on Nutrition in Medicine. Ms. Barlow is a graduate of Holy Cross College in Worcester, Massachusetts. Ms. Barlow’s work as a nutrition instructor follows many years of work as a project manager in the area of information technology.